Dominion Energy, the state's largest electric utility, had appealed a decision by the State Corporation Commission, arguing that big customers who go elsewhere for power should have to give five years' notice before they could return to the utility. Dominion maintained it needed that window to properly plan for its power generation needs. The underlying case was brought to the commission by Direct Energy Services, a large retail provider of electricity in the U.S. and Canada, and a licensed competitive service provider in the state of Virginia. In it, Direct Energy argued Dominion was unfairly trying to impose barriers on its customers and chilling competition. It sought the right of large customers, who typically use more electricity than small customers, to seek out non-utility power providers who offer 100 percent renewable energy without being subjected to a time penalty. The ruling confirmed that when large customers want to buy 100 percent renewable energy, the five-year notice provision does not apply. Ron Cerniglia, a spokesman for Direct, told the Richmond Times-Dispatch the state supreme court ruling will lead to more choice for electricity consumers and lower prices for power. "We're very excited," he told the newspaper, adding that the ruling will give his company "the impetus to move forward in Virginia, particularly in the commercial and industrial market." 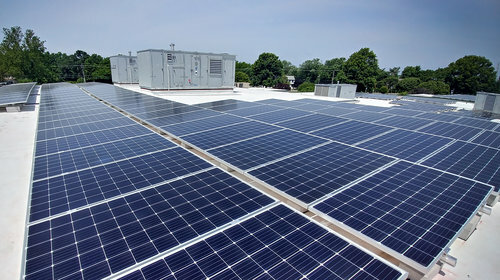 David Botkins, a spokesman for Dominion, said the utility is reviewing the court's order, adding "it should be noted that as the sixth leading solar energy producer in the country, Dominion Energy already offers renewable options for customers and has plans to increase our portfolio of renewable energy, something that was significantly enhanced by the Grid Transformation and Security Act of 2018. Among other things the Act, which passed the state General Assembly earlier this year, creates an incentive for Dominion to create an additional 5,000 MW of wind and solar power over the next decade.